We are striving to make our guests feel special by offering them a unique 'sense of place and genuine culture'. You'll be surprised with our considerate touches. 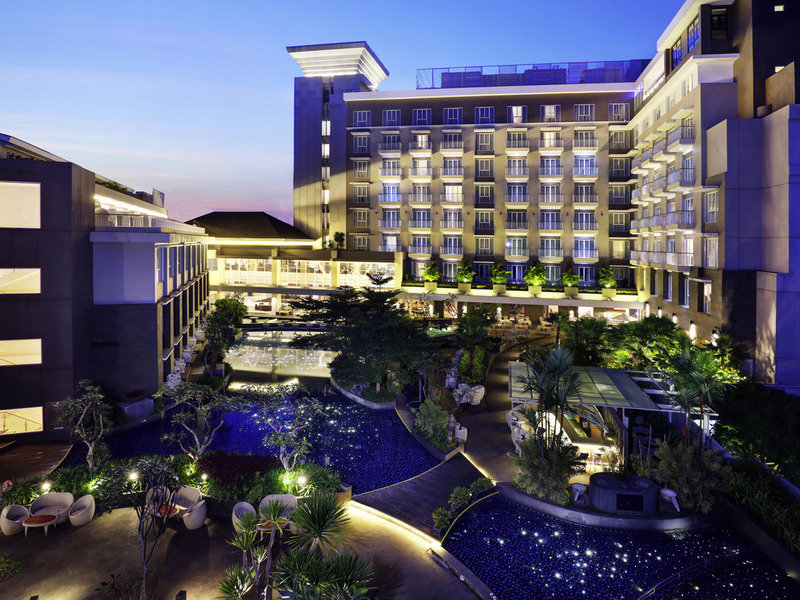 Welcome to Grand Mercure Bandung Setiabudi. At the heart of Setiabudi area in the heights of Bandung, near Lembang, the hotel is surrounded by stunning sightseeing places combining natural beauty & cultural heritage. Relax in sumptuous ambiance and enjoy our contemporary rooms featuring local art. Treat yourself with native specialties on lavish menus in our restaurants, indulge in our warm sparkling pool and embrace wellness rituals in our spa. Ideal for your romantic gateway, family holidays and perfectly suited to your business needs. Bandung is a creative and cultural city, well-known for local crafts and folk art such as heritage architecture, traditional culture and fashion. Also famous for its natural exoticism, Bandung is close to mountainous landscapes and tea plantations. Let us pamper your taste buds with an array of local and international flavors at our all day dining restaurant. Buffet breakfast, à la carte menu for lunch and dinner will be served at the convenient time. So'ren Lobby Bar will help you lounging, accompanied by our signature cocktails and mocktails as well as a light snack menu. Step into our Pool Bar which is located in front of our lovely heated swimming pool, right across the main lobby.